Monday, December 9, more than 30,000 schools around the globe will dedicate at least one hour during this week to teach students computer programming coding skills during Computer Science Education Week. Over 6,000 students in the Thompson school district will be participating! Computer science is driving job growth and innovation throughout our economy. More than 50% of projected jobs in STEM ﬁelds are in computing occupations. Despite this, computer science education is a not a focus within the typical American K-12 education system. In fact, only 13 states and the District of Columbia allow rigorous and engaging computer science courses to satisfy a math or science requirement for graduation from high school. Colorado is not one of them. However in Thompson, we are working to increase access to this important skill. Kindergarteners learning to code at Winona Elementary. This year, K-5 Technology Facilitators are increasing their knowledge of computer programming and the developmentally appropriate activities elementary students can engage in to increase their ability to code. Next year, all of Thompson elementary students in grade K-5 will engage in units of study to learn to code in age appropriate ways. This will be integrated into their Computer Literacy classes of which they are enrolled for two days a week throughout the year. Additional skills students learn in Computer Literacy class include, but are not limited to keyboarding, word processing, multimedia production, and research. Furthermore, at the secondary level, students electing to take Computer Literacy classes at the middle school and high school level will have additional courses to select to increase their access to computer programming. This January, the Thomas Fordham Institute reviewed science standards in all 50 state. The majority of states earned Ds or Fs with only 6 states and jurisdictions receiving A’s. Colorado was rated right there in the middle of the pack with a D.
What is surprising to me is that the reviewers analyzed Colorado’s new academic standards released in December, 2009. At first I thought, “Oh, they must have looked at the old ones.” But, no – they did review the new ones. And, they score the standards with a 3 out of 10 total points. Basically, the low scores come from a lack of content rigor. 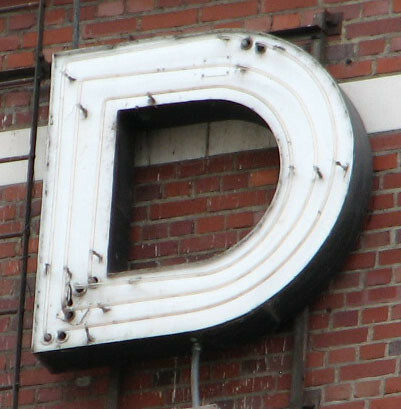 The material presented suffers from a serious lack of clarity, depth, and sufficient content. The standards have a frustrating tendency to string together numerous properties without explanation. If there was an area that was well received, it was the components of scientific inquiry and methodology. Hurray! Not knowing if the Fordham Institute is connected to the national movement to create Next Generation Science Standards, this report is either extraordinarily well timed – or planned. Most folks in curriculum know that The National Research Council, the National Science Teachers Association, the American Association for the Advancement of Science, and Achieve have embarked upon a plan to develop the Next Generation Science Standards. These standards are scheduled to be released in the Fall of 2012 and Colorado will likely use these standards to revise their new academic standards in science. What does this mean if you are a school or district aligning your standards to the new Colorado Academic Standards? Well if you are like us we are spending time analyzing the Framework for K-12 Science Education: Practices, Crosscutting Concepts, and Core Ideas which as released by the National Research Council (NRC) in July 2011. This framework identifies the key scientific ideas and practices all students should learn by the end of high school. It will serve as the foundation for new K-12 science Next Generation Science standards. Want to know more? Watch this webinar on Making the Transition to Scientific and Engineering Practices: Visiting the Potential of the Next Generation Science Standards that was run on October 25, 2011 and is archived. Is the latest move to cut NAEP, the National Assessment of Educational Progress, a key measure of U.S. student achievement just a little bit of out with the old and in with the new? I don’t think so. This move is follows a consistent pattern articulated in the Obama vision of elevating education to global achievement standards. Can you say Common Core? Our new math and English Language Arts standards aligned to global academic outcomes. 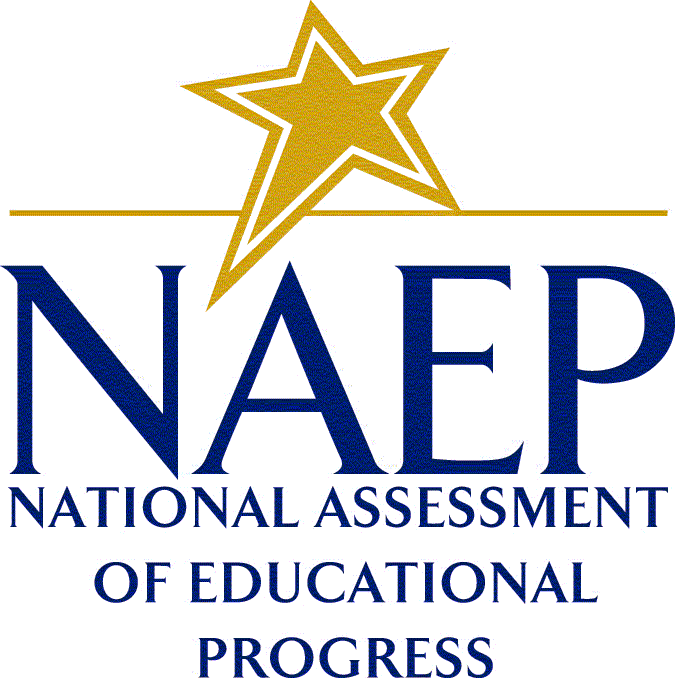 EdWeek reports that the $6 million NAEP cut will be replaced with a pilot program for states to benchmark the performance of our American 15-year-olds against the PISA, the Program for International Student Assessment. The PISA compares students around the world on what is considered a more rigorous assessment than our NAEP or our current swath of state assessments. This time we did something different. We entered our social studies curriculum adoption cycle and we made a departure from our past practice. We decided to spend a year focusing on instructional pedagogy before we started looking at all the materials various publishers have to offer. We immersed ourselves in learning about powerful pedagogy that stimulates student engagement, instruction that evokes critical thinking, and learning structures that support authentic problem solving and exploratory learning and deep understanding and excitement and passion and fun. And when our state adopted new social studies standards we reviewed them with a critical eye and we still held off looking at materials and we thought about how we wanted to teach to impact student learning. And when we read the research and reviewed the literature, we decided to look at various materials from various publishers and we thought…we’d rather not buy textbooks this time. If we didn’t buy textbooks, we could do something different. we were able to purchase digital tools that could engage students in active, connected learning. we were able to think about the world as our world geography curriculum and the plethora of information that is ready at our fingertips and a click away. So now….we don’t have text books and we will be sharing what we have instead – and – all the things we are doing to support learning in our classrooms with out them. Bridging the world of school, home, and afterschool activities, the Digital Youth Network aims to engage middle school students and give them access and training in the use of new media literacy tools. DYN creates meaningful activities where students develop new media literacy and critical thinking skills while working towards accomplishing their project goals. Topics include a 6th grade record label class, a 7th grade digital story telling class, and an 8th grade product design class. This partnership between UCLA’s Institute for Democracy, Education, and Access and Los Angeles high school students, provides opportunities for students to actively engage in research for school and community change. Students collaborate with UCLA graduate students, professors, and teachers “to brainstorm, strategize, collect, analyze, and report data to key stakeholders to affect change.” These student researchers have worked with Los Angeles Unified School District administrators and Mayor Antonio Villaraigosa on various projects and have presented their findings at several educational conferences to highlight the issues plaguing urban education today. Located at Arise High School, Oakland, California, this outside-of-school program incorporates the use of media production and literacy skills in order to create artistic expressions and cultural critiques. Youth Roots members get authentic practice in in spoken word poetry, emceeing, music production, graphic design, digital photography, digital video, digital journalism (via podcasting, digital storytelling, and video production), and event production. Mike Schmoker’s new book Focus came in the mail on a beautiful Saturday morning. It started off as nice lazy day with no pressing deeds needing to be done, so I started to skim through the pages of the new book and was hooked immediately. The chapter on science inquiry caught my attention, as I’ve been thinking deeply about science due in part to the dramatic changes the new Colorado Science Standards are having on the sequencing of our district content, and my thinking and wondering about how to best support our curriculum alignment and instructional needs. It was just prior to the book’s arrival that I was invited to meet with three high school science teachers at one of our local schools. They weren’t concerned about the new content standards, per se – but the pedagogical components necessary to meet these new learning outcomes. You see, the science process skills are completely embedded within the three science strands of physical, earth and life science. Inquiry is the heart of the new state standards – and professional opportunities to support inquiry in their classrooms was their request. Immediately I started thinking about how science teachers I know might connect with his ideas. I wasn’t really sure if they would be simpatico. So, I asked a good friend, prolific blogger (The Traveling Teacher), and science teacher colleague of mine Liz Swanson to tell me her thoughts. First, I wanted to know about his thinking of hands-on activities. 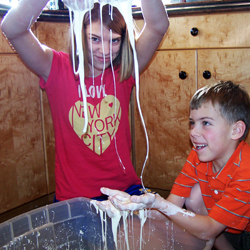 We do a lot of hands-on activities in our district science classes. We use FOSS kits as a foundation in our elementary classrooms, our secondary teachers design numerous labs and investigations to support a wide variety of learning outcomes. So, do you agree with Schmoker and his beliefs about hands-on activities? Tell me more… I know when we worked together this was a big part of the context of learning you worked to create in your classroom. What does it mean to you to engage students in the real work of scientists? So, real scientists spend mountains of time reading as well as engaging in authentic science inquiry. The theme of reading critical text runs through the entire book. How did this knowledge connect with your thinking about teaching? “[D]uring a coaching session… it was literally like a sudden lightning bolt of understanding – I got it….the real “work” of scientists is processing information whether that be through writing, reading, speaking, listening, or experimenting. At that point, I threw out a lot of “labs” that I had been doing that were just leftover in my classroom when I got there and had been doing because they fit the topic but weren’t really “real inquiry” and I started to really think about how I could get kids to need to read and discuss to solve more real-life problems. This has been my little quest ever since. You know, I never remember seeing the textbook out in your classroom. What did you think of Schmoker’s praise for using the textbook to such a great degree? So, you wouldn’t advocate the level of “focus” you’ve seen in the UK science textbooks written for students. 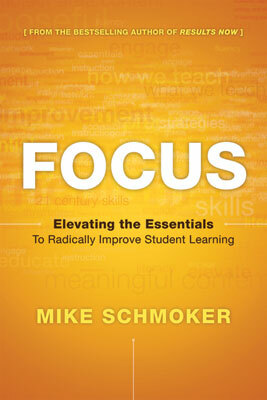 What are your thoughts about Schoker’s overall message of “focus” then? Thanks Liz! Thanks for being a learning and helping me think through the message of this book through the lens of a great science teacher!!! Now, I just need to find a math, a literacy, and a social studies teacher to help me think through the other content area…. Anyone want to read this book and chat with me 🙂 ? 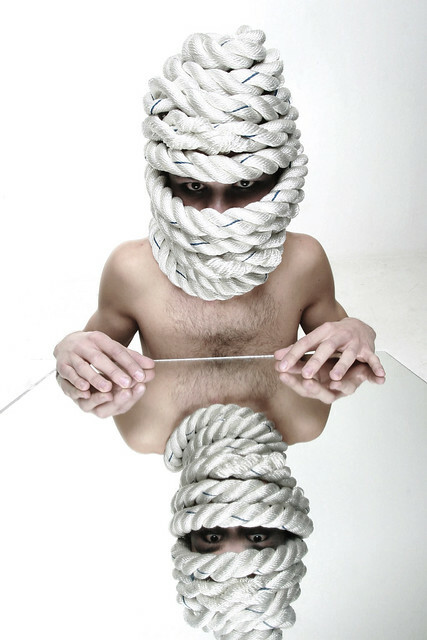 Mindset – the ideas and attitudes in which a person approaches a situation, especially when these are seen as being difficult to alter. For the last don’t-know-how-many-years, curriculum adoptions in our district have been pretty cut and dry. Each year, there has been about the same funding earmarked for new materials. Every 8 years a content area like science or social studies would have funding allocated for materials refurbishment. The division of the funds was based on a formula on the percentage of students involved in the course and the length and depth of the course itself. Typically, more funding was set aside for math, literacy, science and social studies. Less funding was set aside for art, music, physical education, languages, and career & technical education. Our mental mindset to curriculum adoption was pretty much set. There were some pretty clear expectations as to the funds that were available. The organization maintained a sense of stability since the funds that were available were pretty much the same funds that were available in the past. Until the last several years. The first signs of pressure on our system stemmed from increased costs of materials as offered by publishers and vendors. Coupled with flat funding, this meant that a typical adoption would provide fewer resources. In many cases, this meant instead of buying a text for each student, a classroom text was purchased instead. This pressure was pesky and bothersome, but it didn’t cause us to shift our adoption mindset. We just bought less and grumbled more and tried to figure out why weren’t getting any more money to buy what we thought we needed. Additional elements of pressure began when the nature of materials began to shift from paper to digital formats, thus impacting the types of curriculum materials needed. Pre-engineering labs, graphics labs, streamed content, internet or server-based interventions. All these required curriculum dollars be spent on hardware and software and technical support. The mindset shifted; the types of materials a district could purchase with what was essentially considered previously a textbook adoption cycle. With more and more resources flowing to non-textbook purchases, flexibility in thinking about how to use the available funds increased. However, some of the purchases made for specific content areas required yearly allocations for content subscriptions. This was troublesome for the existing curriculum adoption system. As annual commitments to certain programs increased, the number of dollars for new cycle purchases decreased. These annual commitments began to impact the total amount of funding available for each subsequent adoption. At the present, we are facing some of our greatest challenges. Decreased state revenue has in turn decreased school district funding allocations. Last year our district switched from an incremental budget to a zero-based budget. Instead of being presented with a total amount of funds that could be spent on the upcoming adoption, we were asked to present our materials needs in advance of the budget being funded. The 2010-2011 year was the social studies adoption year. A curriculum gap analysis found that the greatest need was in the 6th and 7th grades where the new state standards were vastly different from our current curriculum. A plan was drafted to meet the needs in these courses and funding was allocated to a greater degree for these grades than other grades. We took a giant step towards a needs-based mindset. But, we still grumble a bit because it just doesn’t seem fair. As we enter our 2011-2012 school year we look to our adoption cycle that was set over eight years ago. According to this document, it is now science, physical education, and career and technical education’s “turn” to refurbish materials. With more cuts likely, it seems unlikely that we will be able to fund these content areas with dollars equal to the previous adoption cycle. Many district’s like ours have put their entire adoption cycle on hold until funding streams get back to normal. I’m not so certain we will ever get back to normal. Normal funding or normal adoptions. A needs-based curriculum adoption is inherently different from an incremental based adoption cycle. It necessitates that systems and structures are in place to effectively analyze the needs based on learning in the 21st century. They understand the current state of curriculum materials that include Open Education Resources (OER), hardware, software, subscription-based content and paper-based materials. The supporting materials must align with the student learning outcomes that elevate problem-solving, information literacy, global connectivity, productivity, and inquiry learning. These are areas of reflection for our P-12 Content Councils and our overarching Curriculum Improvement Council as much as they are for our entire district and the community we serve. Moving forward into the 2011-2012 school year, we have identified our greatest curriculum gap in science. This means that we will likely not fund adoptions for physical education, health and career and technical education this coming year. We may have some funding to sustain programs in these content areas, but we will use greater amounts of funds to address the gaps that are present in science. We will explore the current research related to science learning and science education. We will look to our colleagues in higher education, business, and the field. We will reach out to those in our community to help us reflect upon our current state of science instruction and materials and we will identify needs with a critical eye knowing that we will have to make difficult decisions with the resources available to us. Hungarian wine country - just a few months too soon.